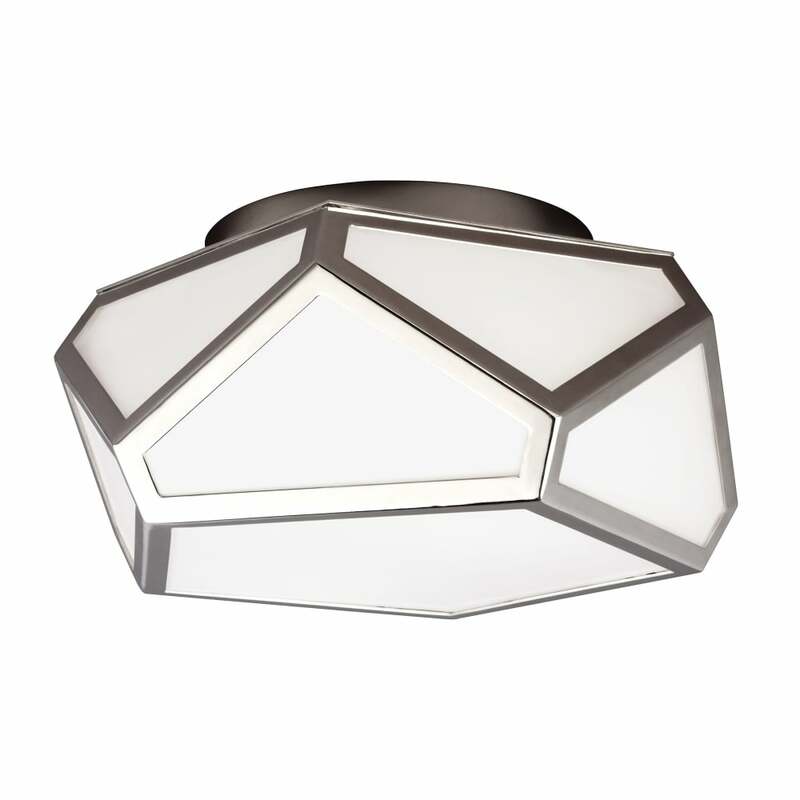 This Elstead Diamond Flush Mount Ceiling Light is a contemporary take on traditional stained glass with a simple, clean design. The diamond collection features modern, large scale fittings with dramatic facets made of individual panes of glass in a metal frame; the opal white glass creates a warm glow and hides the internal lamping. Soft light shines out the bottom of the open pendants. The custom canopy features a raised, faceted design detail to continue the motif.